Sony Xperia Z5 Premium Dual, world’s first smartphone with 4K UHD display launched in Indian market priced at Rs 62,990 which will be available from 7th Nov. 2015 in Chrome Black, Gold colour option. Sony also launched Sony Xperia Z5 Dual priced at Rs 52,990. Sony Xperia Z5 Premium along with Sony Xperia Z5, Sony Xperia Z5 Compact first unveiled at IFA 2015, Berlin. The all new Sony Xperia Z5 Premium Dual is a Waterproof and dust tight (IP65 and IP68) smartphone, support both Single and Dual-SIM(Micro SIM), 4GLTE, NFC, Finger Print sensor, Wi-Fi, Bluetooth, USB, GPS and FM Radio comes with a bigger 55.5” 4K UHD (3840×2160), 806 PPI, Triluminos display for mobile, X-Reality™ for mobile, Dynamic Contrast Enhancer for amazing picture quality and video quality from every angle perfect for watching movies, playing games and reading e-books. Sony Xperia Z5 Premium Dual runs on latest Google Android™ 5.1 (Lollipop) and powered by 64-bit octa-core Qualcomm Snapdragon 810 SoC clocked at 1.2GHz with 3GB of RAM and 32GB internal memory and 200GB expandable memory for superior multi-tasking and gaming. Sony Xperia Z5 Premium Dual sporting a 23-MP Auto Focus Primary Camera with LED flash, 4x digital zoom, Wide-angle G Lens (24 mm), Full HD video recording (1080p) with sony Exmor RS™ for mobile image sensor, Sony’s image stabilisation techniques and 5-MP secondary camera with Sony Exmor R™ for mobile sensor Full HD video for best ever selfie experience packed with a 3440mAh battery with battery Stamina and Ultra Stamina modes promising 2 days battery life measures 154.4 x 76.0 x 7.8 mm and Weight 180gm including cool Accessories like Style Cover Window SCR46SmartWatch 3, MDR-1ABT Hi-Res Audio Bluetooth® Headphones. 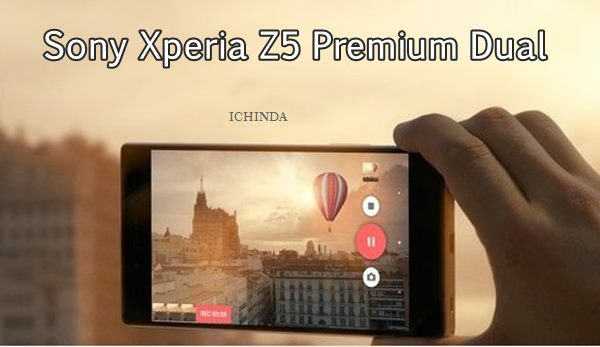 Read More about:- Sony Xperia C5 Ultra…. Camera features Sony Exmor RS™ for mobile image sensor, Sony’s image stabilisation techniques, SteadyShot™ – video stabilisation, Superior Auto – automatic scene selection, Image stabiliser, Geotagging – add location info to your photos and Red-eye reduction. At last Few Honest word, Sony Xperia Z5 Premium Dual is the best high-end smartphone in India. What you think? Please be open to give your view and stay tuned for more updates.